Alaska Milk – the Philippines’ leading dairy company – awarded INDEFF with its largest MES OEE project yet: 36 production lines in 3 factories. A study into the Overall Equipment Efficiency of various production lines helps decision-makers evaluate how effectively each line is utilized. Highly valuable information that allows making the right decision, in real time – every time. OEE monitoring provides you with insight into the performance of production lines. As a result, you receive access to automated reports and clear downtime definitions. OEE is a tool that you can use to define where things can be improved. The scope of the project covered three production plants. In each plant, production management wanted to measure the OEE of every line. 36 in total. How efficient are they, really? Where are the production bottlenecks? The only way to know for sure is to use automated OEE metrics. One of the main benefits of INDEFF’s OEE is that production doesn’t have to stop for deployment. In essence, the solution can help every manufacturer reap huge rewards. Improve efficiency, gather data and make each operator accountable for his or her own actions. 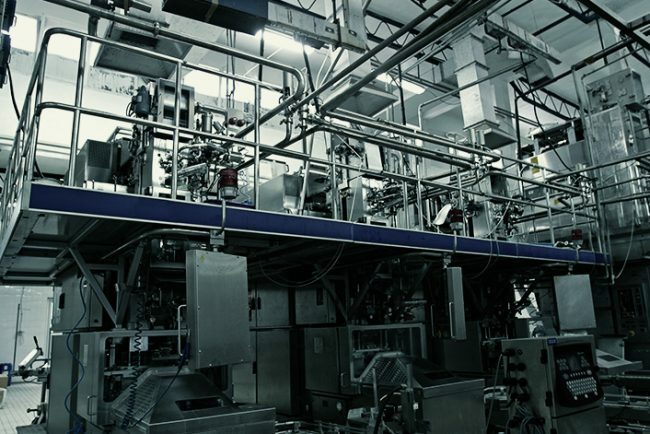 The desired overview of all production lines, combined with concrete KPIs, gave Alaska Milk clear goals and a course of action to increase production output. The backbone of INDEFF’s OEE solution is the centralized server architecture. Future projects at Alaska Milk will surely benefit from this.